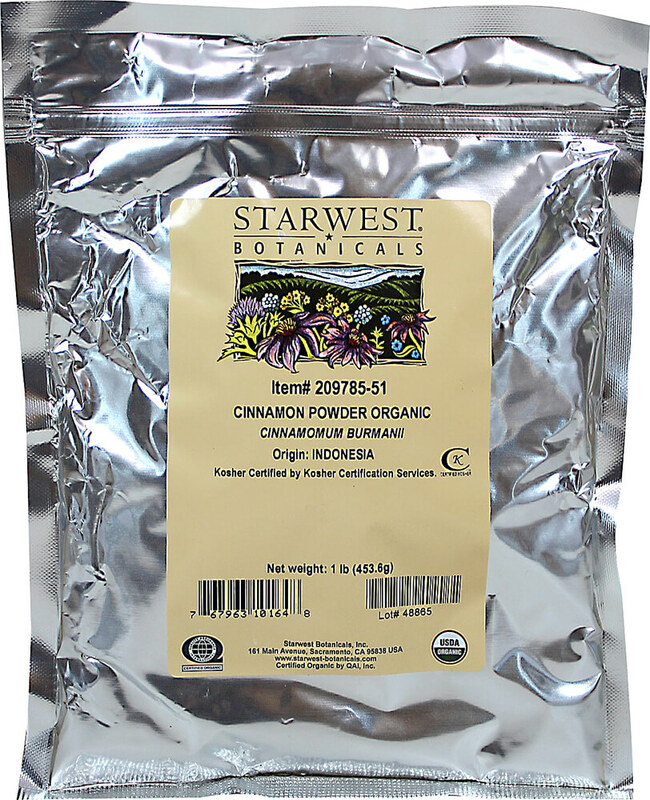 Organic Cinnamon Powder (Cinnamomum Burmannii) is manufactured by Starwest Botanicals. Origin: Indonesia. Kosher Certified by Kosher Certification Services. Certified Organic by QAI, Inc.